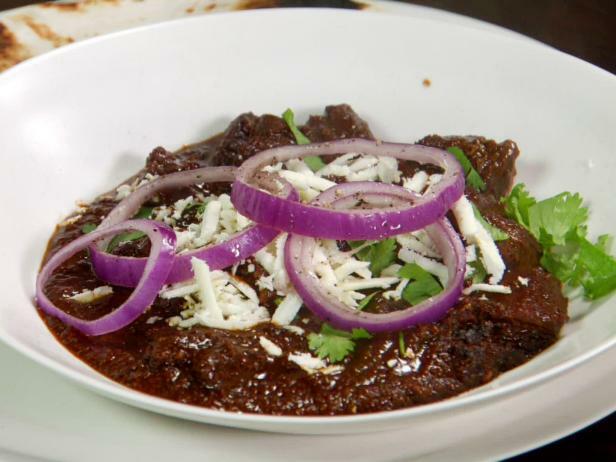 Ingredients 6 dried ancho chiles 1 (6 ounce) can tomato paste 1/4 cup corn oil 2 cloves garlic, minced 1 1/2 teaspoons salt 1 teaspoon dried oregano 1/4 teaspoon ground cumin 3 cups beef broth Directions Preheat an oven to 400 degrees F (200 degrees C). Arrange the ancho chiles on a baking sheet and toast in the preheated oven 3 to 4 minutes; remove the stems, pulp, and seeds from the toasted peppers. Place peppers in a bowl and pour enough hot water into bowl to cover completely; allow to soak for 1 hour. 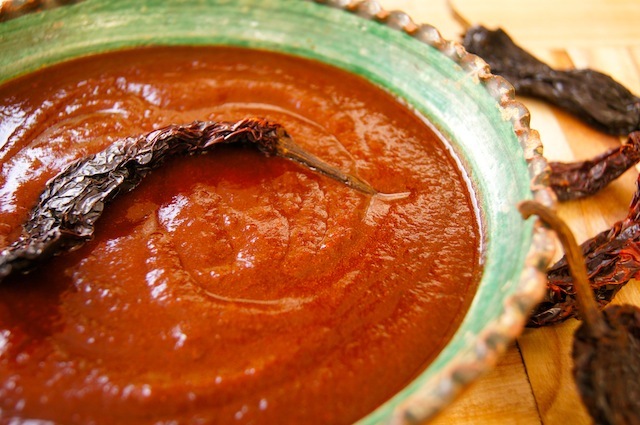 Combine the ancho chiles, tomato paste, corn oil, garlic, salt, oregano, cumin, and about 1. Ingredients 6 dried ancho chiles 5 garlic cloves, unpeeled 1 teaspoon ground cinnamon 1/4 teaspoon dried basil 1/4 teaspoon dried oregano 1/4 teaspoon cumin seeds 1 1/2 cups unsalted homemade or canned low-sodium chicken broth 1 tablespoon balsamic vinegar 1 1/2 teaspoons vegetable oil or rendered bacon fat 2 medium onions, chopped medium fine One 28-ounce can crushed tomatoes or whole plum tomatoes, pureed, with their juices, in a blender One 1-ounce chunk smoked ham, cut into 4 pieces 3/4 ounce Mexican chocolate or 1 tablespoon unsweetened cocoa powder 1 to 2 teaspoon sugar Kosher salt Directions With scissors, split open the chiles, and discard the stems and seeds. Cut. 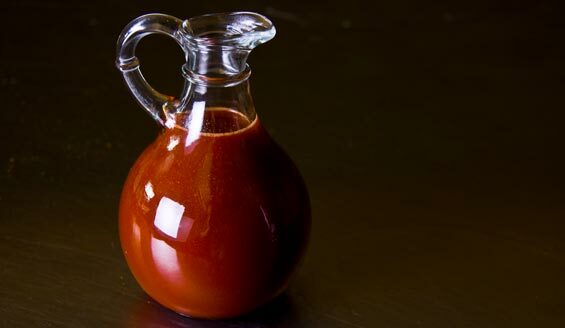 Ghost Chili Sauce – HOT! 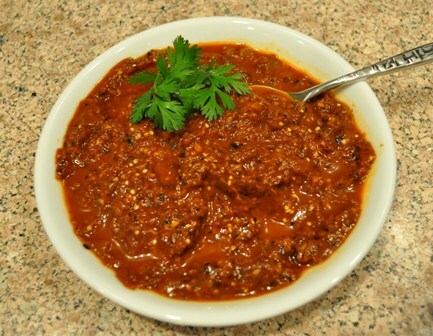 Ingredients 6 ghost chiles 1 small red bell pepper, diced 1 28-ounce can whole tomatoes, pureed 1/2 medium onion, diced 2 garlic cloves, cut in half 2 tablespoons cider vinegar 1 tablespoon organic sugar Directions Wearing gloves, remove stems and seeds from ghost chiles. Combine all ingredients in a medium saucepan and add enough water to cover. Bring to a boil, then reduce heat to low and simmer for 20 minutes until vegetable are soft. Place in a blender and blend until smooth. Store in a glass jar or plastic container. Ingredients 1 dried ancho chile, stemmed, seeded, coarsely torn* 2 tablespoons vegetable oil 1 cup chopped onion 1 tablespoon tomato paste 3 garlic cloves, minced 1/2 cup dry red wine 1/2 cup ketchup 1 tablespoon apple cider vinegar 1 tablespoon (packed) dark brown sugar 2 teaspoons Worcestershire sauce 1/4 teaspoon ground cumin Directions Place chile in medium bowl. Pour enough boiling water over to cover; let soak until soft, about 30 minutes. Drain, reserving soaking liquid. Heat oil in heavy medium saucepan over medium heat. Add onion and sauté until soft, stirring often, about 4 minutes. 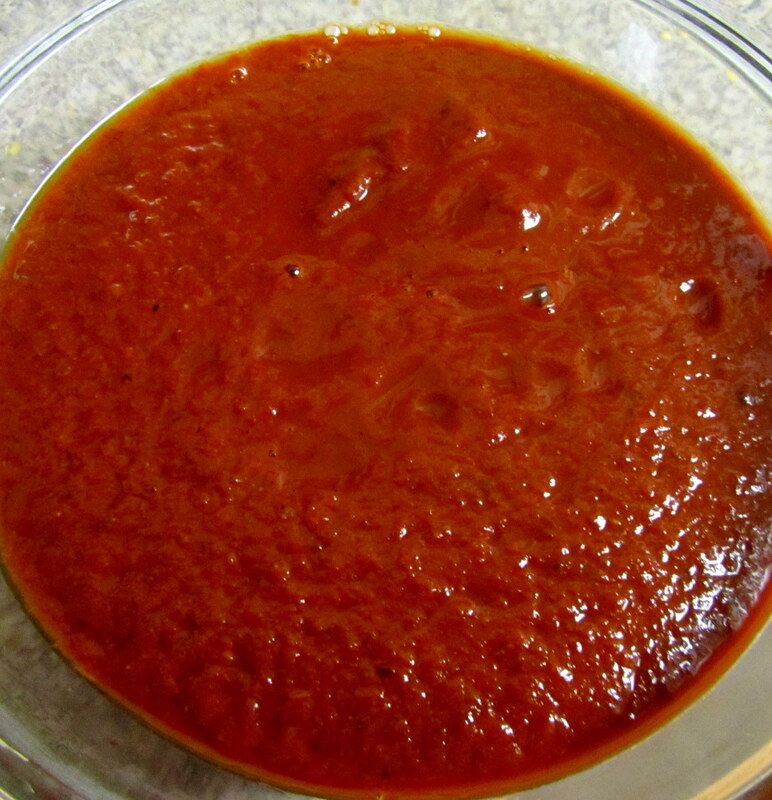 Add tomato paste; stir 2 minutes. Add garlic and stir 30 seconds. Add wine. 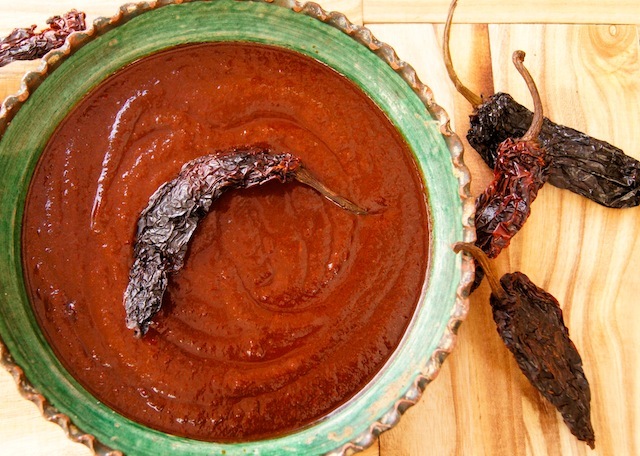 Ingredients 4 ounces dried guajillo chiles (about 18), stemmed 6 garlic cloves, unpeeled 1 1/2 teaspoons kosher salt plus more 3 tablespoons apple cider vinegar 1 teaspoon garlic powder 1 teaspoon onion powder Directions Heat a large dry cast-iron skillet over medium-high heat. Working in batches, toast chiles until slightly puffed and fragrant, 15-20 seconds per side. Let cool. Using kitchen scissors and working over a medium bowl, cut chiles into thin rings, reserving seeds. Cover with 2 cups very hot water and let soak for 10 minutes. Meanwhile, heat the same skillet over medium-high heat. Add garlic; cook, turning often, until tender and skin is lightly charred, about 8.